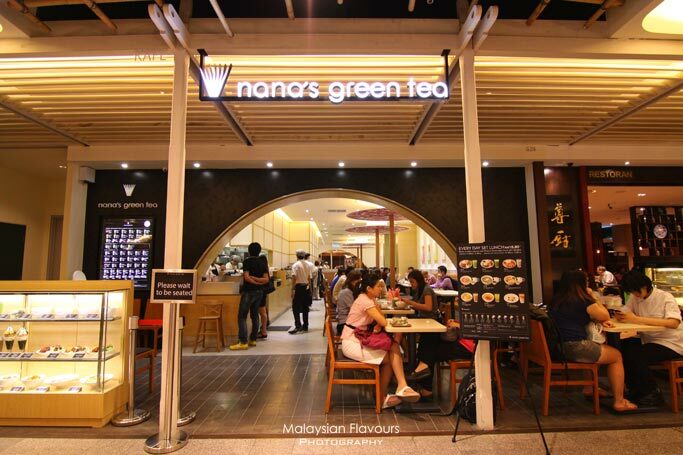 After having 65 outlets in Japan, 6 in Shanghai, 1 in Singapore, Nana’s Green Tea, the No.1 Green Tea Cafe in Japan has finally landed in Malaysia, having first flagship store at The Gardens Mall, Mid Valley City, Kuala Lumpur. 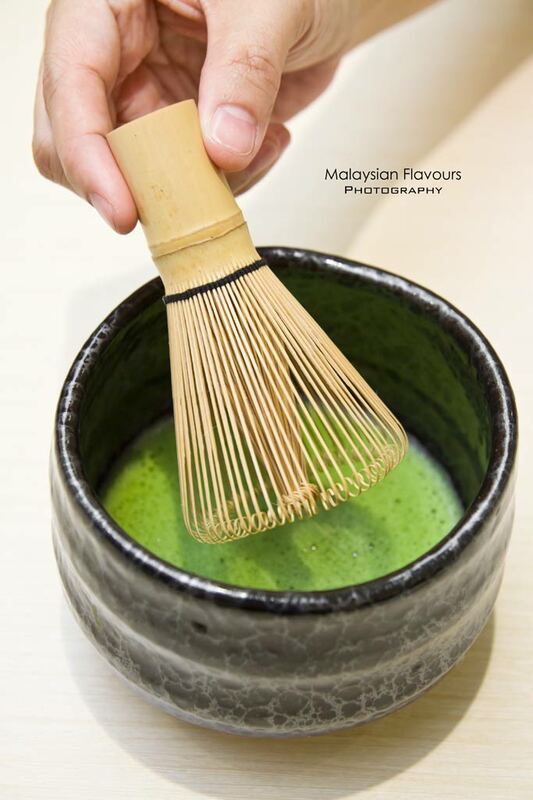 Nana’s Green Tea serves as a modern Japanese cafe that aims to deliver “Matcha”, the finest Japanese powdered green tea in a whole new concept, giving new ideas to the traditional green tea culture yet maintaining the benefits of matcha. 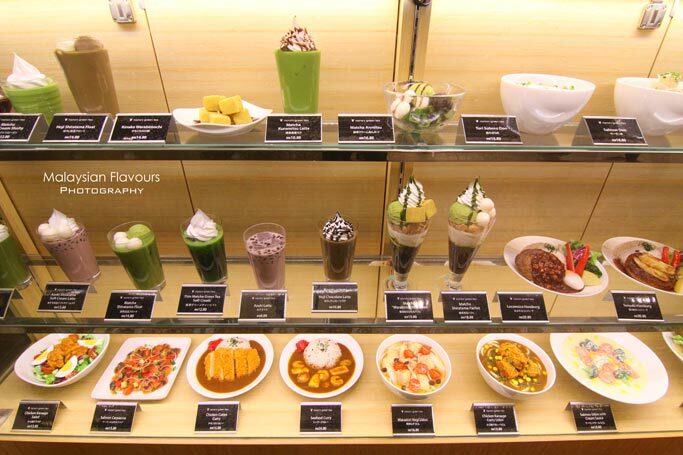 Apart from green tea base beverages and dessert, main courses such as locomoco hamburg, seafood mentaiko udon with cream sauce, curry katsu chicken, etc. are also available. 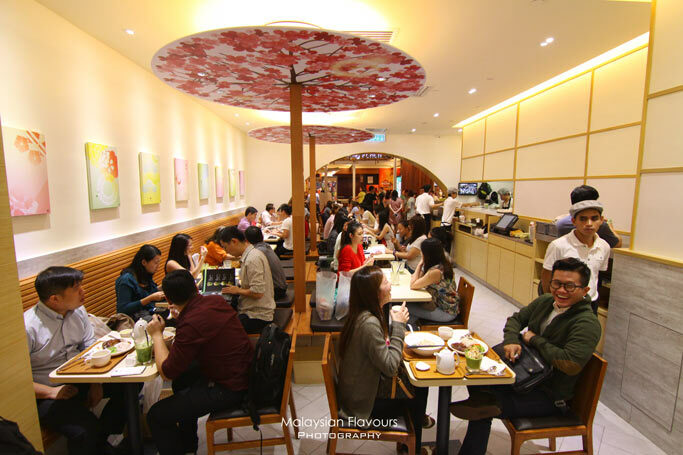 The cafe holds a refreshing departure from old-style interior and opts for chic dining environment, creating a “New Japanese” tea house that suits the lifestyle of people in new age. 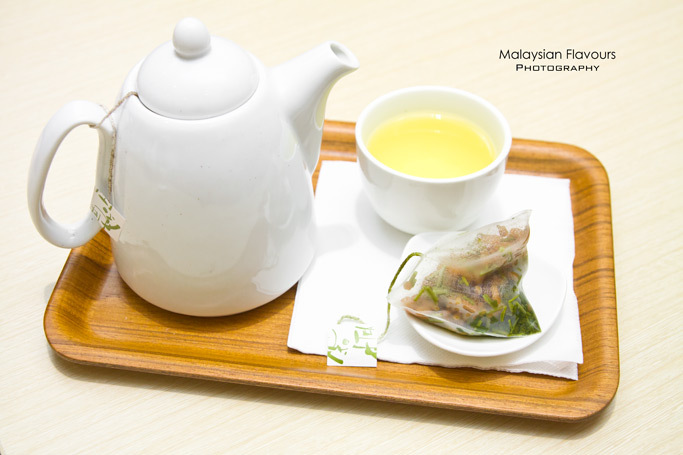 Nana’s Green Tea cafe in The Gardens Mall offers a clean, modern contemporary design. wooden furnitures are set under tree like design, providing an illusion to diners as if they are dining under cherry blossom of trees. Walls are adorned with colourful Genji poster which will change according to four seasons. 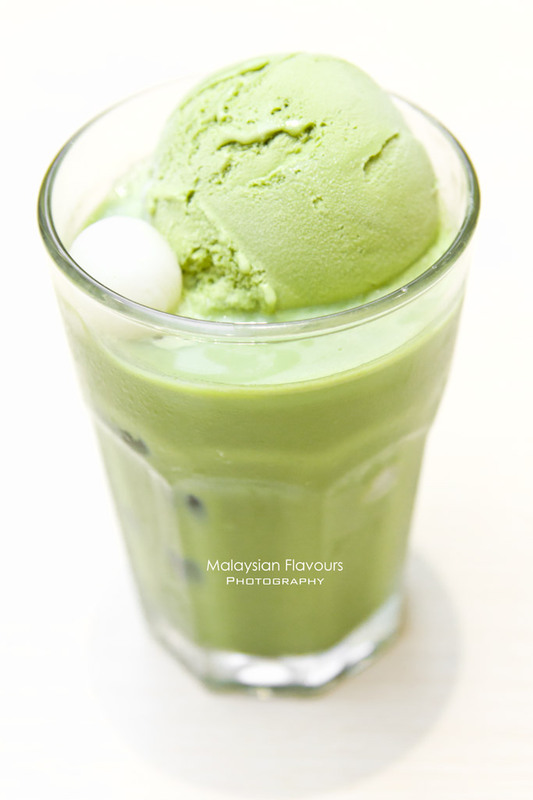 Nana’s Green Tea is commonly known as “Japanese Starbucks” in Japan, and the reason that drives the opening of Nana’s recalls back to the story of Mr. Kazuto Kutami, the president of Nana’s Green Tea. 15 years ago, the rise of Starbucks Coffee had attracted many Japanese to switch from tea to coffee. He became so worried that the culture of drinking tea would disappear soon, replacing by coffee. This had inspired him to open Nana’s Green Tea Cafe that offers wide range of matcha infused drinks and sweet treats, to retain the awareness of Japanese on green tea. And today, this cafe has becoming a popular dining spot for many. It is glad to find that the menu here is extensive, more than enough to keep patrons to revisit with no repeating in choices. There are four main Nihon cha, or Japanese Tea serves in Nana’s Green Tea, namely the Uji Cha, Karigane Cha, Hoji Cha and Genmai Cha. Uji Cha is the highest quality of all Japanese tea with sophisticated bitter sweet taste; Karigane Cha came from the steam of Uji Cha, with wild bitter sweet taste and distinctive lush new fragrance; Hoji Cha is a combination of toasty and nutty flavour, that can be a good alternative for coffee; Gemmai Cha, also called as pop corn tea. Made of Karigane cha, know for its toasty brown rice aroma with sweet and unique taste. 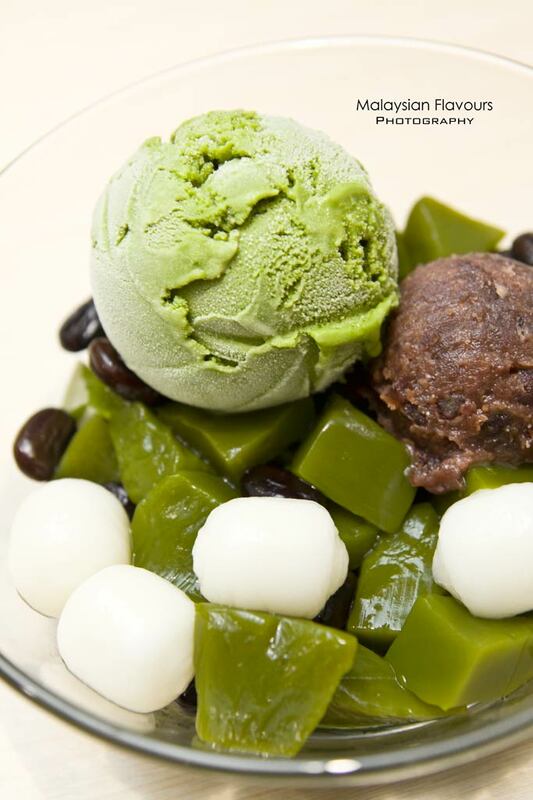 If you are here for dessert, try out the Match Anmitsu, which is Matcha ice cream, red bean paste and mochi served on a bed of “Kanten”, Japanese healthy traditional jelly made using seaweeds, high in fiber, has almost 0 calories. Drizzle with caramelized brown sugar syrup for a sweet sensation. 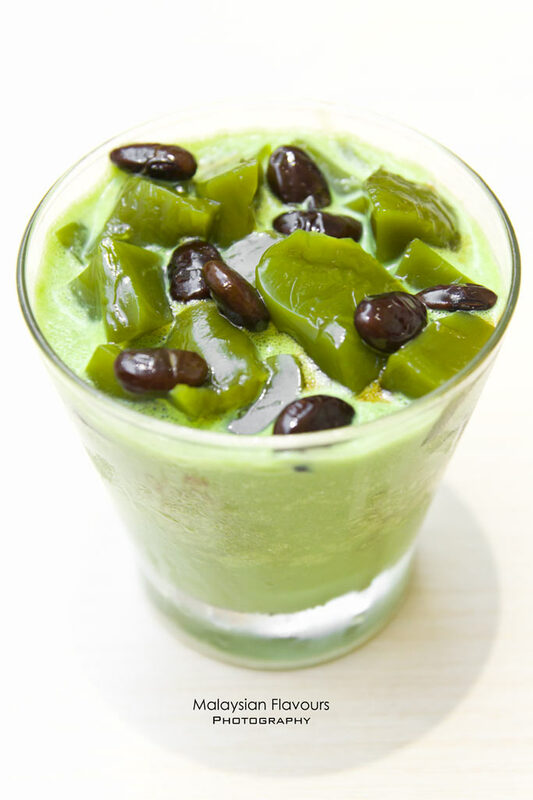 Or, try the Hoji Shiratama Parfait, something different from the usual green tea. An artisan dessert starting with a layer of Kanten Jelly and Hoji syrup then topped with soft served vanilla ice cream, generous layer of corn flakes and garnished with Hoji ice cream, Hoji bean paste, Mochi, whipped cream and a drizzle of Hoji Syrup. 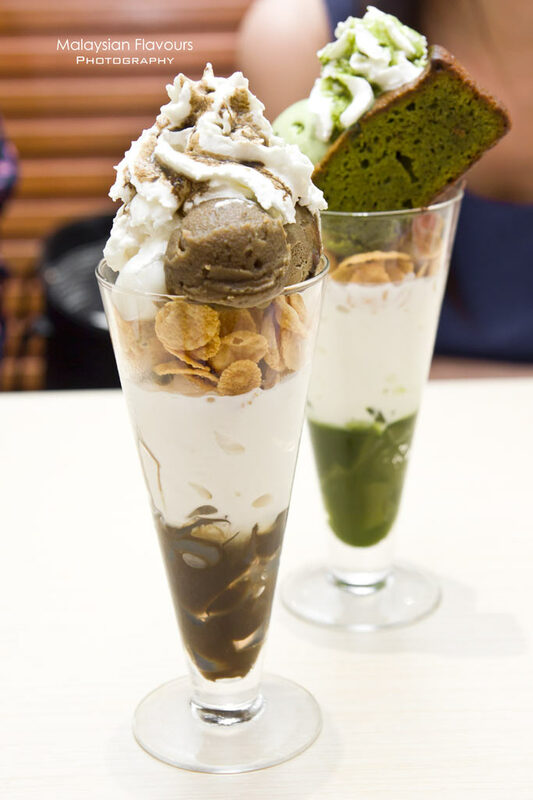 If you prefer to stick to Matcha, then check out Matcha “Gateux Chocolate” Parfait, an artisan dessert starting with a layer of Kanten jelly and Matcha syrup then topped with soft serve vanilla ice cream, generous layer of corn flakes and garnished with a Matcha ice cream, Matcha Gateux Chocolate Cake, red bean paste, whipped cream and a drizzle of Matcha syrup. The cost for bringing in Kinako Warabimochi from Japan is expensive, but the owner decided to have it in Nana’s menu, as she believes that this is the chance for Malaysian to explore Japanese good food. Kinako Warabimochi is actually a chewy, jelly-like dessert, almost taste like mochi but they are produced from different ingredients. 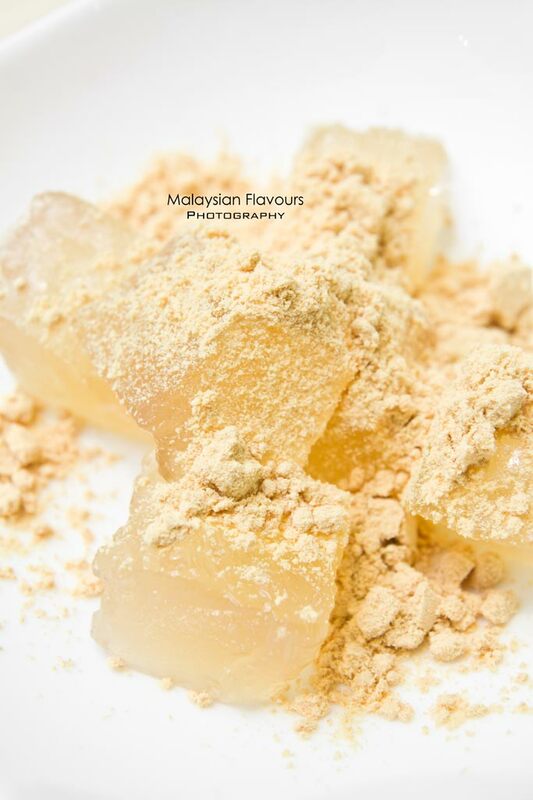 Warabimochi is made of bracken starch, while mochi which is made from glutinous rice. Warabimochi is then dotted with Kinako (Sweet Toasted Soybean) for aroma and sweet syrup for sweetness, seeing that the warabimochi itself doesn’t bring much flavours. If you are here to have mains before reaching for dessert, udon and don are the great choices that will not disappoint you. 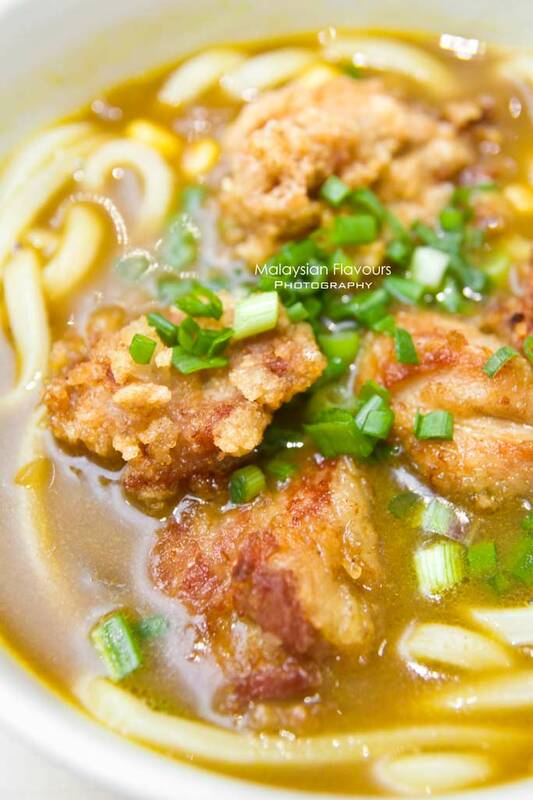 The Chickn Curry Karaage Udon features chewy udon noodles immersed in a bed of Japanese curry, topped with Chicken Karaage that has a crispy exterior, encasing juicy, tender chunks of meat within. This is the must have in Nana’s Green Tea if you like cream base noodles. Even though the noodle doesn’t look appealing physically, but as you slurp in the udon, the light pinkish sauce that is thickly coated to it deliver a rich, creamy flavourful sensation that is so delightful. You can even drink the gravy as it was so good! Don’t be afraid with the pinkish broth, it comes from the mentaiko, not colouring. Prawns, scallop, squid, capsicum and spring onion are brimming in the gravy, giving more flavours from the sea. Highly recommended. Can’t tell you how good it is until you try it out yourself! 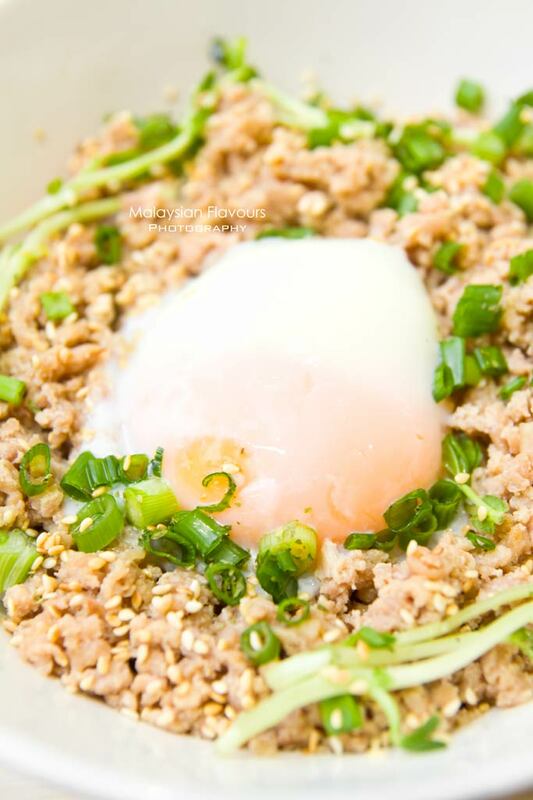 Minced beef or chicken shaped into round patty and pan seared, ladled over with “Homemade Tomato Locomoco Sauce” that blends in a sweet and tangy concoction, Appetizingly good. Sided with Millet rice, and garnished with red leaf lettuce, capsicum, broccoli and Japanese style poached egg. Nana’s Green Tea is prides for their Unagi Don, as the eel is carefully chosen, high in quality. 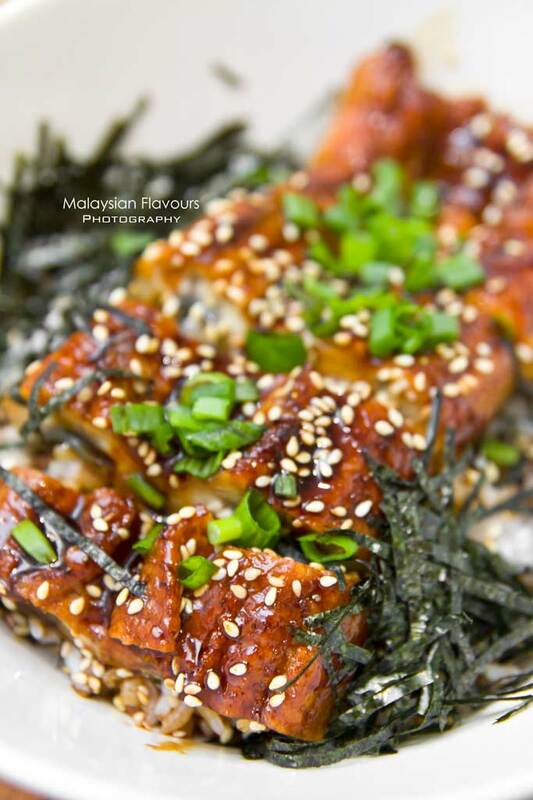 Soy marinated and perfectly grilled, the unagi holds a soft, almost melt in the mouth texture. Served over warm millet rice and garnished with sesame, nori and spring onion. Curry in Nana’s Green Tea is complete with chicken cutlet, seafood, beef hamburg or chicken hamburg options. 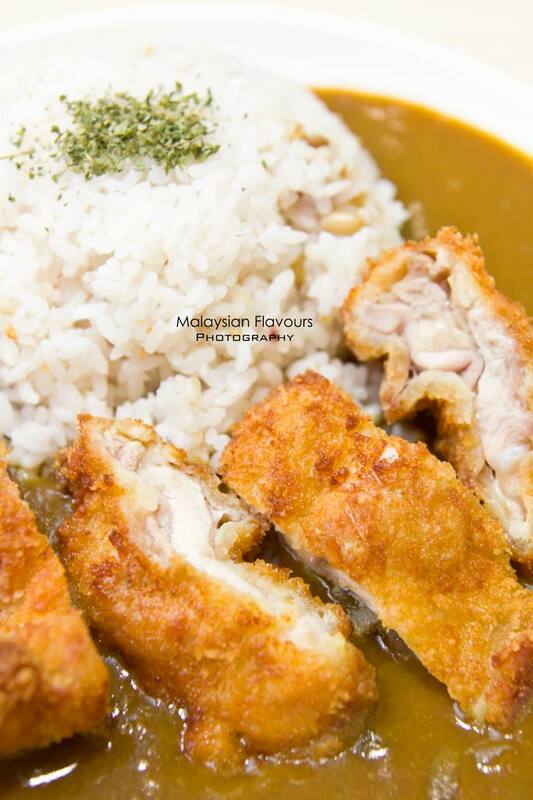 We tried out the general favourites, chicken cutlet curry, and it turns out good. 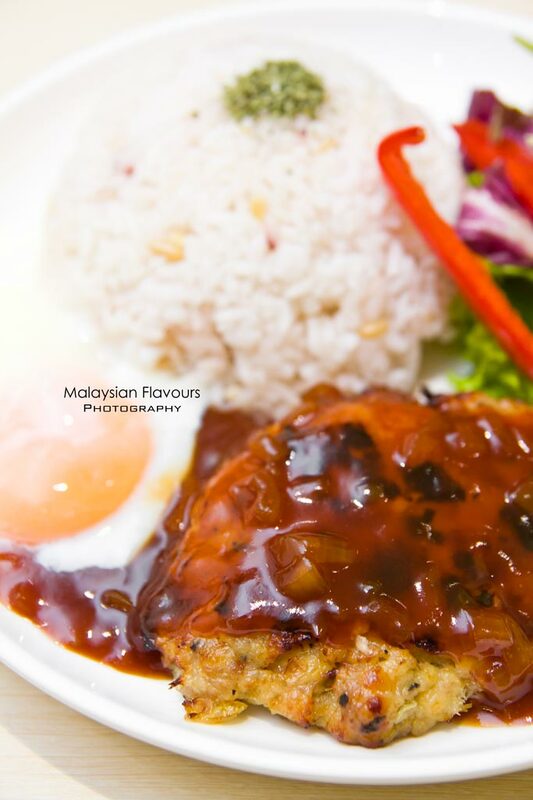 Deep fried to golden brown, the chicken cutlet is crunchy outside, with juiciness of meat locked inside. The Japanese curry, is midly spicy and carries a tad of sweetness, so appetizing to scoop with millet rice. Another thing to mention is, Nana’s Green Tea promotes healthy eating by uses Millet rice in their rice dishes, where the rice is an ancient rice recipe containing 10 different kinds of cereal mixed with polished rice. Rich in nutrients, minerals, vitamins and dietary fiber. So, dessert or mains? Nana’s Green Tea have them all! 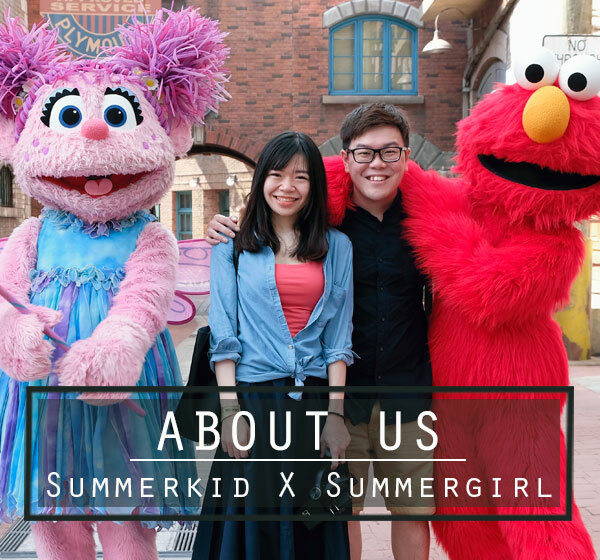 Drop by at this quaint little cafe during your shopping in Mid Valley or The Gardens for some mouth watering delicacies, but be ready for queues and waiting. How to reach: Hop on KTM and align at Mid Valley Station. hi, i would to request a copyright from nana green tea. just a simple reason that i m the green tea lover. and i hope to let more and more people know about nana. hopefully get a reply from officia as soon as possible. tqvm.